The Zippelin, a lightweight rolling suitcase created by Daniel and Markus Freitag, the founders of the Freitag brand, is lined with an inner tube that creates the frame of the bag when it’s inflated with a bicycle pump. 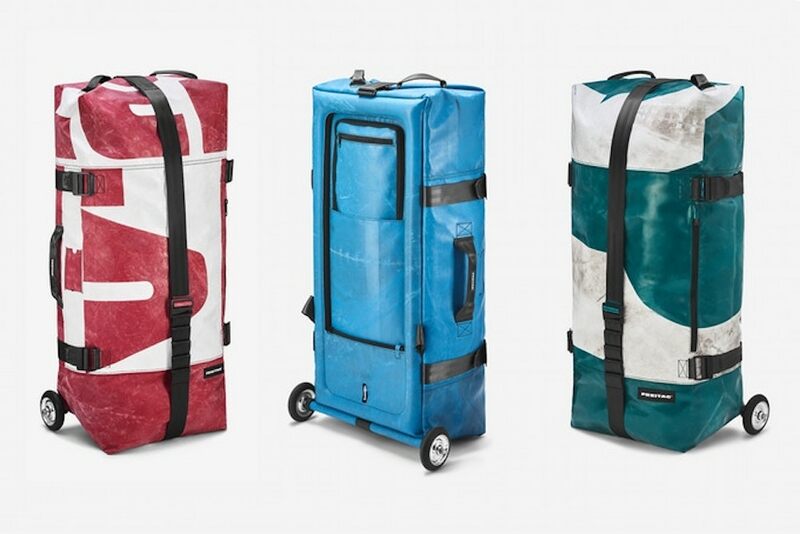 Freitag makes all of its products with upcycled tarpaulin, which is water-resistant and sturdy, but is typically too heavy for practical luggage. To use tarpaulin to build a lighter suitcase, the company swapped out the metal frame most luggage features for a thin tube that can be inflated to reach the pressure of a car tire. As an added bonus, when deflated, the Zippelin takes up much less space than a conventional suitcase. It lays flat and can be rolled up to fit inside a shoebox. A Kickstarter campaign for the Zippelin has already raised more than double its initial funding goal.